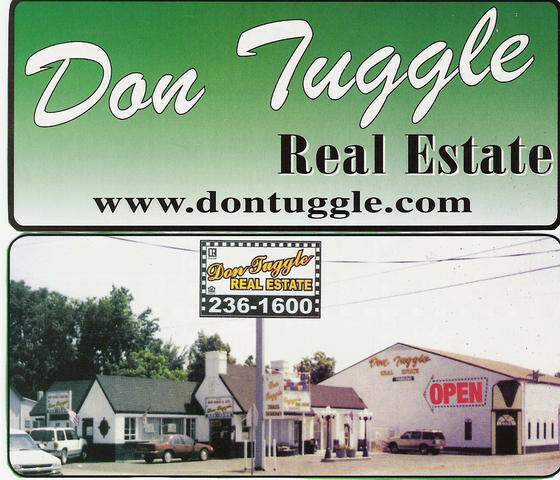 Don Tuggle began his real estate career in Missouri after graduating from the Real Estate Program at Three Rivers Community College in Poplar Bluff. He owned and operated Big Don's Real Estate as principal broker over 7 agents from 1990-1995. After selling out and moving to Arkansas,he was employed at Brengard Realty and later at Time Realty as a sales agent and associate broker between the years of 1995-2000. On January 13th. 2000 he opened and established Don Tuggle Real Estate with only one other agent. Since that humble begining the company has grown to five full-time agents several of which are "Million Dollar Producers." Our motto is to "treat ya like family" from the smallest of transactions to the most complex. We have five agents in the office. They are high caliber professionals with diversed backgrounds. They are all committed to the Business of Real Estate. Our office is fully equipped with an integrated network of computers and communication systems. We have instance access to all the Multiple Listing Services, the Public Record Searches, and other tools and services that our agents need in order to better serve you. We also have a full time staff to accommodate all your needs. They help coordinate meetings, set schedules, answer your calls when your agent is not available.